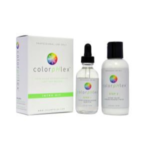 colorpHlex added to hair colouring or bleach, strengthens hair, reducing damage and breakage. colorpHlex improves the strength and quality of the hair. Patented and scientifically formulated, colorpHlex uses a vegetable derived protein molecule that reinforces bonds during the colour and bleach process. 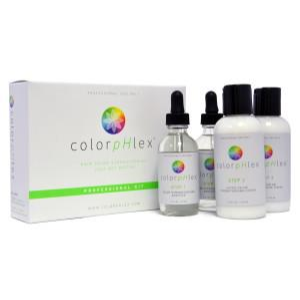 Independent third party scientific testing proved that the hair tested and processed with colorpHlex was up to 4x stronger, returning hair to optimum condition, compared to hair which had not been treated with colorpHlex. 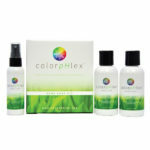 Using colorpHlex home care products will extend salon results.